United States Attorney Nelson P. Cohen announced today, May 2, 2008, that Murilda C. "Chris" Hayes and James C. "Jim" Hayes, residents of Fairbanks, Alaska were sentenced in federal court in Fairbanks to 36 months and 66 months respectively on their convictions of illegally diverting government funds awarded to a Fairbanks charitable organization created to aid disadvantaged Fairbanks and money laundering for trying to conceal the diversion of funds. The funds were diverted for their personal use and to pay for the construction and furnishing of a Fairbanks church with which they were associated. 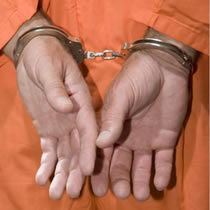 Chief United States District Court Judge John W. Sedwick first imposed the 36-month sentence on Chris Hayes, age 57. After Ms. Hayes' hearing, Judge Sedwick considered further arguments as to the appropriate sentence for former Fairbanks Mayor Jim Hayes and imposed a 66-month sentence on Mr. Hayes, age 61. According to information presented to the court by Assistant United States Attorney Karen L. Loeffler, who prosecuted the case, Chris Hayes was the executive director of Love Social Services Center (LSSC), a charitable organization, set up to provide social and educational services to low income and disadvantaged youth in the Fairbanks community. Jim Hayes, her husband and the pastor of Lily of the Valley Church of God in Christ (LOVCOGIC), was also a board member of LSSC. Between 2001 and 2005, LSSC received over 2.7 million dollars in government grants from the Department of Housing and Urban Development and the Department of Justice Office of Juvenile Programs. LSSC used the original grant money to purchase the old LOVCOGIC church building. LOVCOGIC then built a new and larger church across the street from its old location. When the cost of construction for LOVCOGIC's new church exceeded its sources of funding, Chris Hayes and Jim Hayes illegally diverted LSSC government grant funds to pay construction bills and provide furnishings and operating expenses for the new church. The Hayes used the government funds to pay for personal bills and expenditures such as a plasma television for their home, a family wedding reception, credit card bills and old debts, and other personal items. Chris Hayes concealed the source of the above payments by causing the charity to write checks to cash that she then converted to money orders and cashier's checks to make the illegal payments. Prior to imposing sentence on Chris Hayes, Judge John W. Sedwick considered her long history of good works for children and the community and contrasted it with her actions in stealing approximately $450,000. In weighing those two contrasting issues, Judge Sedwick determined that a sentence of 36 months incarceration would adequately address the goals of sentencing. When imposing sentence on Jim Hayes, Judge Sedwick noted that Jim Hayes, in contrast to his wife, took no responsibility for his crimes and took the stand at trial and "lied to me and lied to the jury." Judge Sedwick stated that he believed that Jim Hayes had character flaws that only came to light with these crimes. Although Judge Sedwick found that Jim Hayes did not have knowledge of the money taken by Chris that was spent on personal purchases, he noted that Jim Hayes was the stronger character of the two and appeared to have diverted government funds, in part, for the personal purpose of enhancing his own image in the community and his church. Judge Sedwick found that the lengthy sentence of 66 months was necessary to reflect the seriousness of the crimes committed by Mr. Hayes and the need to make sure that those who obtain government funds use them for the purposes for which they are intended. Mr. Cohen commended the cooperative effort of the Internal Revenue Service-Criminal Investigations, the Federal Bureau of Investigation, the Department of Justice Office of Inspector General and the Department of Housing and Urban Development Office of Inspector General for their lengthy and complex investigation leading to these convictions. The case was prosecuted by AUSA's Karen Loeffler and Andrea "Aunnie" Steward, of the Criminal Division, U.S. Attorney's Office.